This large surreal mural featuring a little boy seated with an ice cream was painted by a Mexican street artist by the name of Facte or Facteone. 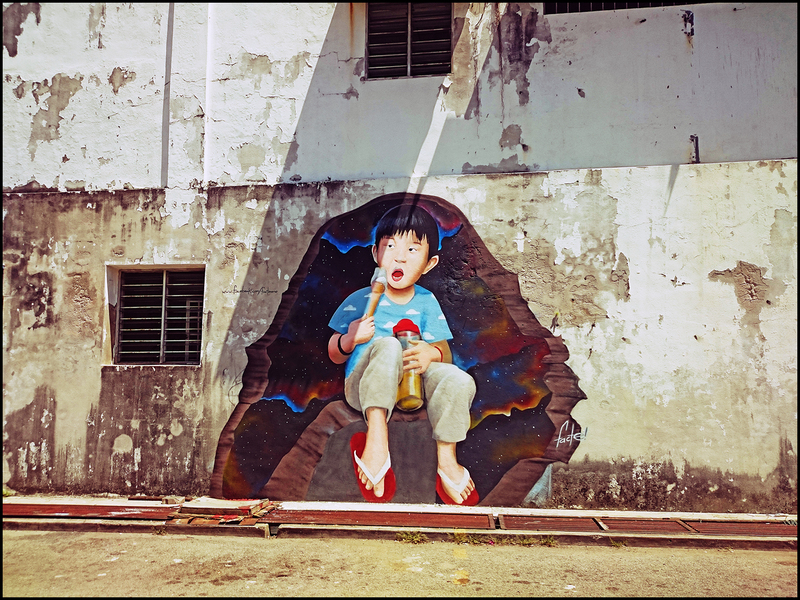 The beautiful art work can be found located at Tye Sin Street (Lebuh Tye Sin) near the junction of C.Y. Choy Road, George Town, and is just right next to the Girl in Tee art mural.